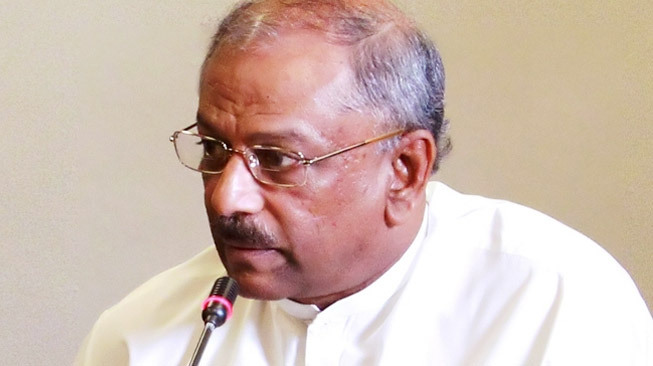 The Joint Opposition (JO) yesterday predicted over one million participants for the ‘Jana Satana Paada Yatra’ rally, scheduled to be held in Colombo on August 1. Addressing the media at N.M. Perera Centre, Borella yeaterday, Joint Opposition Leader Dinesh Gunawardane said that the ‘Pada Yathra’ is a peaceful protest march against the non democratic policies of the government. MP Gunawardana alleged that there are many conspiracies in motion to sabotage this programme adding that none of these attempts would succeed since it is a people friendly movement. He said that people representing political parties such as the SLFP, Lanka Sama Samaja Party, Mahajana Eksath Peramuna, National Freedom Front, Pivithuru Hela Urumaya, Prajathanthrawadi Wamanshika Peramuna, Deshvimukthi Pakshaya, Communist Party, Sri Lanka Mahajana Pakshaya, trade unions, community organisations and various ethnic communities are scheduled to participate in the protest. Matara District MP Dullas Alahapperuma alleged that the government is resorting to cheap tactics in its quest to sabotage this event by adding that all the grounds from Kandy to Mawanella have been reserved by a main Government politician. He further alleged that the Agrarian Services Commissioner has recently issued a circular by directing all agrarian officers to engage in field researches from July 27 to August 2. According to this circular, agrarian officers of the Matara and Kandy districts will have to engage in their field researches in Anuradhapura and agrarian officers of the Matale district will have to engage in their field researches in Badulla. Nuwara Eliya agrarian officers have been assigned to do their field researches in Jaffna. He also added that this circular has been issued with a political and not an official purpose. The Jana Satana Pada Yatra will begin from the Dalada Maligawa premises on June 28 at 9.30 am and reach Colombo on August 1. “The first stage of the march will end in Mawanella, the second stage will conclude in Nelumdeniya and third stage in Nittambuwa. The participants will arrive at Kiribathgoda on the fourth day. The Pada Yatra rrally will conclude with a massive public rally in Colombo on August 1.” the MP said. Thanks to Yahapalanaya, MR and the clan can peacefully march along streets on Pada Yatra in the next many more years to come.